Relaxing on my day off hanging around Victoria’s Inner Harbour, inclusion at its best! The process focused on six areas explained with a bit of detail on the website listed above. This is not my first time at this type of dance. I have participated in these types of consultations in the 70’s, 80’s, 90’s and numerous times since the turn of this century. I have attended more meeting on the subject of inclusiveness then I care to remember. Now I realize the world of disability has become much more complicated then it was even thirty years ago. There is no doubt that the complexity of disabling conditions has grown exponentially with advances made in healthcare and technology. The independent living movement has grown along with rights protection all aimed at encouraging participation in the community. It is important to acknowledge and understand the independent living concept that developed throughout the 70’s in North America. From my perspective it is obvious that most of these government programs don’t really understand this concept. Now this isn’t going to endear me with many of my peers working towards a more inclusive society but the reality is to fully participate in your community you need the ability to “self-determine”. The other reality that I feel often gets lost is that employment is meant to be a way to support ones self, not as a day activity. A persons success in the labour market is based on their ability to self-determine. The reason I work everyday is to involve myself in my community, pay my bills, maintain the level of independence I desire and to make my contribution to society. I am the person making these decision, in other words I am exercising my self-determination. And I deal with the consequences, be they reward or penalty, of my actions every day. Some individuals may need the assistance of an aide or a piece of equipment as a way to succeed and live independently. This is really a form of interdependence and that’s a good thing. In the real world everybody deals with some form interdependence. We all have something or someone in our life’s that contribute to our level of employment, quality of life and independence. It could be something as simple as a public transit system or a public gym where one goes to stay in shape but nobody lives on an island absence of anyone or anything. Even Tom Hanks, in the movie Cast Away, had his trusty basketball Wilson to keep him sane. However Tom found the basketball, drew the face on it and named it. That’s called self-determination. However when one needs a personal aide to make sure they get up in the morning, get to work and spend the day making sure the job gets done properly then the only employment opportunity we have created is for the daily aide person. This is not self-determination. It’s a situation where the person with the disability is a product and whether we like it or not we have to accept the fact that not every disability is equal. So attending this “consultative process” was much like attending a history class. One of the questions they asked the participants to use as a lens when looking at these various areas was “Why do you think it’s important that we reduce barriers and increase accessibility for people living with disabilities in B.C. ?” Well my answer would be, let’s stop trying to find ways to re-invent the wheel for political correctness reasons. Some disabilities will always need extra supports and direction in life. But if you want to put someone to work then make sure THEY are calling the shots and not some association or care giver. I work because I want to and can but I make that determination. 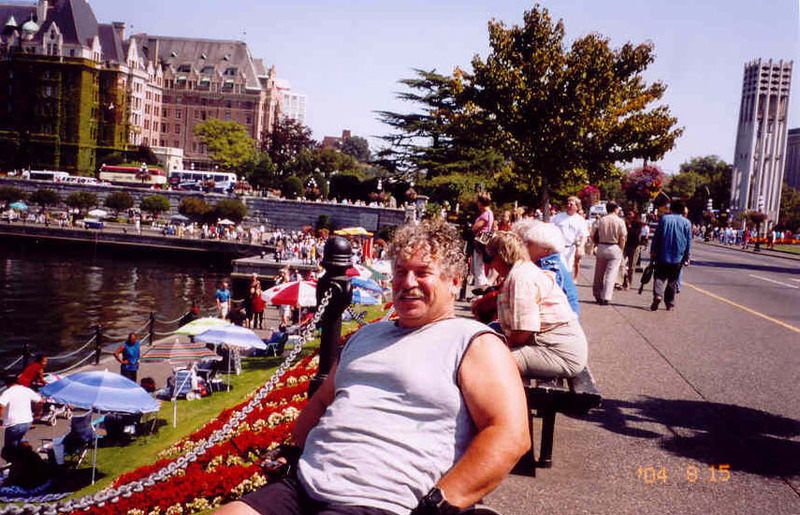 This entry was posted in Disability, Politics and tagged BC government programs, independent living, living with a disability, self-determination, Terry Wiens, working with a disability. Bookmark the permalink. As much as I concur with your sentiment, with your philosophy, I am also inclined to believe that your governing ethic of self-determination is a rare characteristic or trait in the majority of people. I fully believe, not unlike you, that the broadest sense of success is achieved through the attainment of one’s goals, which is predicated on self-determination. Perhaps this is analogous to the apex of Maslow’s hierarchy of needs and Carl Rogers’ ‘curative force in psychotherapy’. I believe the issue (i.e., self-determination) that you address in your insightful posts of “Here we go Again”, is so fundamental, it will take a Herculean effort to manifest change at both bureaucratic and personal levels.